The University Health Service with the University of Michigan reported three mumps cases in students on the Ann Arbor campus. University Health Service is working with multiple campus partners, Michigan Medicine, and state and county public health authorities to identify, treat and prevent mumps. Mumps is an acute infectious disease caused by the mumps virus. It is spread via coughing, sneezing, kissing, sharing glasses or utensils, and touching a surface that has the virus on it. Mumps is suspected when there is swelling of one or more of the saliva glands. The swelling may just be on one side, but is more commonly on both. Sometimes the glands under the tongue or jaw are affected also. 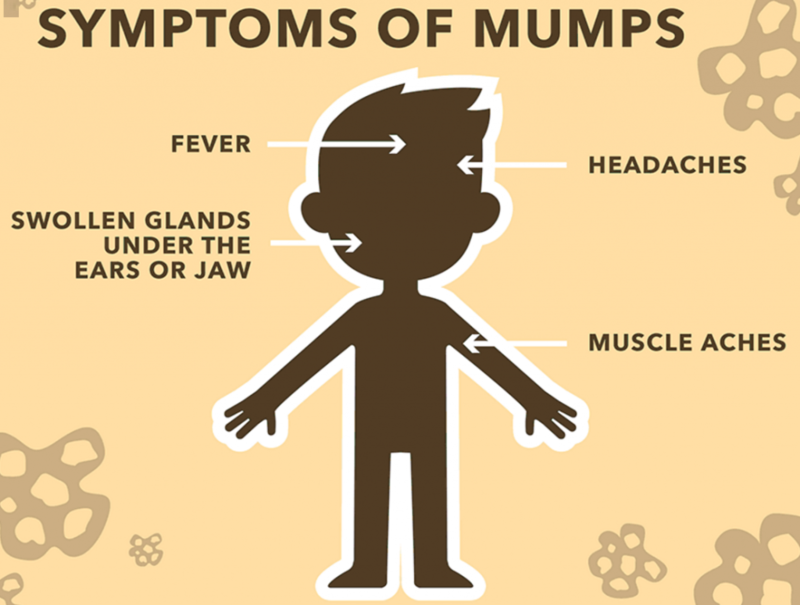 Other possible symptoms of mumps include: fever, headache, earache, tiredness, sore muscles, dry mouth, poor appetite, and trouble talking, chewing, or swallowing. Before the swelling occurs, flu-like symptoms appear in about half of those who get the virus. In children under 5, mumps can show up as a lung infection. Fever usually lasts 1-6 days but enlargement of the glands may go on for 10 days or longer. A few people may have little or no symptoms but can still spread the virus. When a person is exposed to mumps, it usually takes from 16 – 18 days for them to get sick, but it can range from 12 – 25 days. The virus is most contagious from 2 days before the swelling starts until 5 days after it goes away. Check your immunization record. If you have not received two doses of the MMR (measles, mumps, rubella) vaccine or previously had mumps, you should call a health care provider to evaluate your needs. You may want to call or visit your home doctor over fall break or Thanksgiving break, or use University Health Service (UHS). Practice preventive measures, such as good hand hygiene, cover coughs and sneezes, and avoid direct contact with saliva e.g. kissing and sharing personal items like toothbrushes and bottles/cups. Avoid close contact with people who are sick, and stay home if you are sick to prevent infecting others. If you have had close contact with someone with confirmed mumps, or if there is any reason to believe you could be at higher risk of infection, consider getting a third dose of the MMR vaccine.